Oops! I'm not very good with marketing it seems. 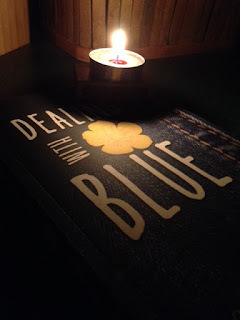 I scheduled my one-time allotted Kindle Count Down Sale for Dealing with Blue to start today...and never told anyone about it! Thank goodness, it was only three hours of candlelight, cold cereal dinners, and rowdy kids. Power's back on, and I'm ready for bed.